We'll start with the fact that it is a government mandate. The push for TPMS started when we had the Firestone tire recall in the late 1990s. The Clinton administration enacted the Tread Act that required TPMS technology to be phased in starting in 2005. By 2008 the whole U.S. fleet weighing less than 10,000 pounds was outfitted with TPMS technology. Some of the original systems used what we call Indirect TPMS, which used the wheel speed sensors to calculate a low tire. The assumption was that a low tire has a smaller circumference, therefore it would spin at a different rate than the other tires. The positives of this type of system are that it uses sensors already installed on the car and no other equipment other than software is needed. The negatives are that if you reset the system with low tire pressure, it would not know the difference as long as they are all even. Most of the current systems are called Direct TPMS and this is the type I believe you are referring to. This type has a sensor in the wheel that is connected right to what looks like a valve stem. They are sensitive and can be damaged when repairing or replacing a tire if extra care is not taken. These sensors can also go bad if corrosion gets into the valve core and it cannot be removed. Most of them also have a battery in them, although they are expected to last for about eight years. Some of the sensors can have the valve portion replaced without having to replace the whole sensor, which is helpful. As time goes on, the sensors have come down in price and quality aftermarket sensors are available. But on some cars there is a programming process that has to take place and as with everything else on today's vehicles, a handheld programming device is needed to perform the procedure. There are a couple of positives to this system that may change your thinking on its value. I got in my own vehicle the other morning to go to work and the TPMS light came on with a message telling me that my right rear tire was low. I got out of the truck to visually inspect the tire and it looked OK to the eye. I pressed the information button on the dash and it told me that the right rear tire was down to 27 pounds while all the others were at 32 pounds. I would not have known had I not had TPMS. I would have driven around on a low tire for who knows how long. I would have used more gas and I would have put extra wear and stress on a fairly expensive tire. Some vehicles are equipped with sensors in the spare tire, which is a nice feature because the spare tire can be forgotten until needed. We had a client come in the other day for a TPMS light on. Guess what? It was his spare tire that was low. Had he not been alerted by the light he would have been driving around with a flat spare tire. 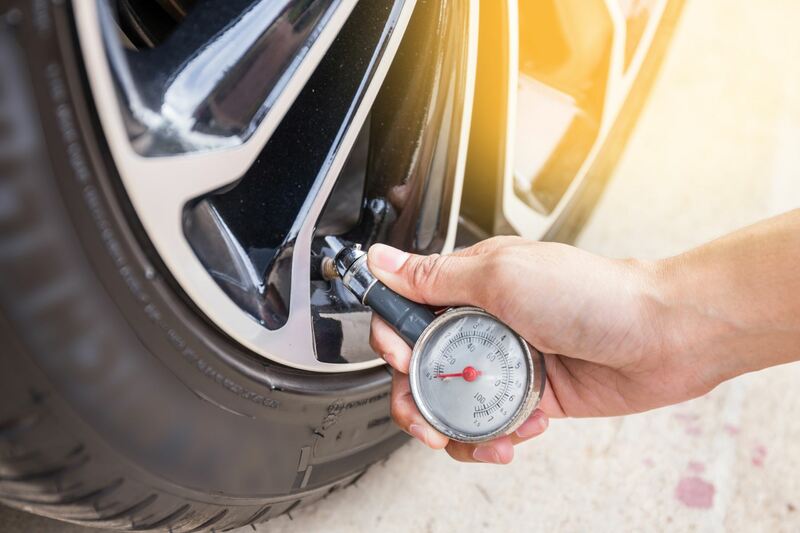 For the most part, the TPMS devices have been pretty reliable and fairly maintenance free, so for now I think the pros outweigh the cons; however, as time goes on and they begin to age, we may start seeing more failures.